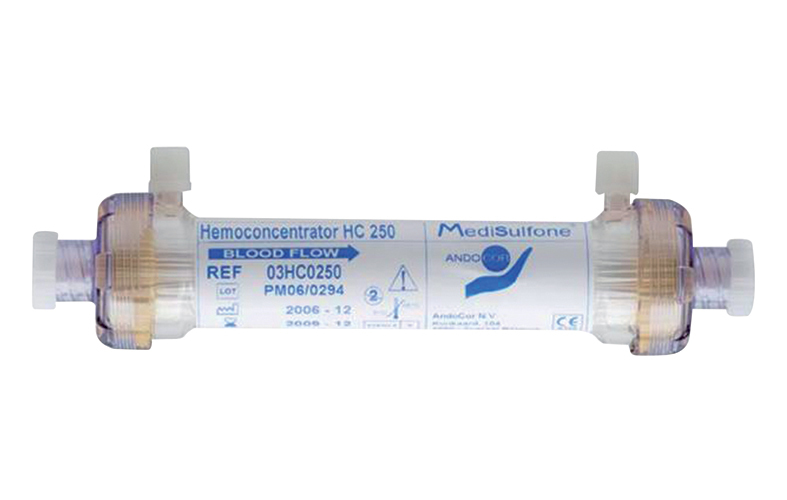 Andocor manufactures and offers a range of Hemoconcentrators that allow the quick removal of plasma water in excess together with plasma solutes smaller than 50,000 Daltons, giving back to the patient all the valuable blood components. The process is by ultrafiltration that does not damage the blood cells. Hemoncentrators are available pre-rinsed to speed-up the priming procedure or non-rinsed.